When our focus is primarily on money in seeking philanthropy, we chase money rather than meaning in our profession. This focus on the product (money) lessens the importance of purpose in our work, and not only raises less philanthropy, it devalues the noble role that philanthropy can play in a well-examined life. Our work in philanthropy must make the material to spiritual shift. A focus on the impact and difference philanthropy can have on lives, communities, and indeed the planet must be the raison d'etre of our profession. This will necessitate an entirely new form of metrics in philanthropy. Not the quantitative metrics of money, but the qualitative metrics of ever deepening relationships with benefactors and their perceptions of themselves at their best. This idealized, new and engaged philanthropy will be the result of nonprofit organizations and philanthropists co-creating mutual desirable futures. 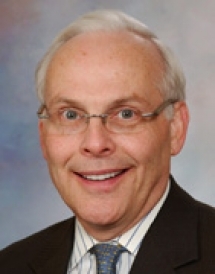 Jim Hodge is Manager of the Principal Gift Program at the Mayo Clinic in Rochester, Minnesota. Prior to his current tenure at Mayo, he served as Director of Development, Associate Vice President of Bowling Green State University in Ohio. His 21 years of fundraising experience include special emphasis on planned giving. He currently acts as adjunct faculty for the Center on Philanthropy’s The Fund Raising School, has served on the editorial board for New Directions for Philanthropic Fundraising, and has written articles focusing on planned giving and major gifts.